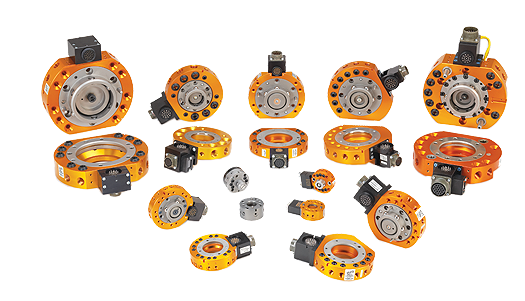 Standard Quick Change Tool Changers - This series of Tool Changers is built around a 'round' body with integrated pneumatic ports and our patented high-strength locking mechanism. A variety of electrical modules are available for use with the Standard Series. Heavy Automation Quick Change Tool Changers - The Heavy Automation Series of Tool Changers is built around a 'square' body and uses our patented high-strength locking mechanism. This series of Tool Changers is more modular in design, with a wide variety of electrical, pneumatic, fluid, and high-power modules available. Heavy Automation Tool Changers are commonly used in heavy material handling and primary and secondary welding applications. The piston acts as a large dowel pin, aligning the Master plate and Tool plate with unmatched repeatability. Million-cycle testing, at rated load, shows that the typical repeatability is much better than the guaranteed values. The Quick-Change Tool Changer has a large moment capacity due to the locking piston's high coupling strength and large diameter. 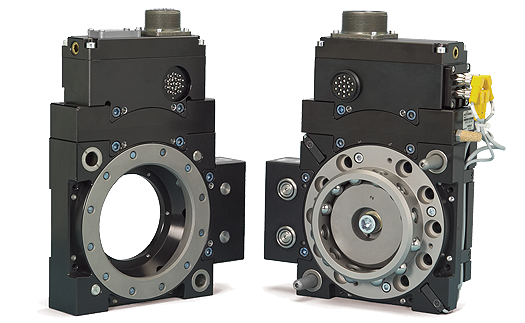 The coupled Tool Changer remains rigid during high-inertia moves preventing locking failure or repeatability problems. The patented multi-taper locking mechanism actually wears in instead of out. The pneumatic ports use uniquely-designed, long-life rubber bushings, which prevent any loss of air pressure. Spring probe electrical pins on the Master Plate insure contact with fixed pins on the Tool Plate. 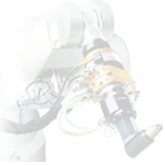 The Quick-Change Robotic Tool Changer is built to last. The ATI Tool Changer Locking Mechanism has a Fail-Safe feature that prevents the Tool plate from releasing from the Master plate if lock air pressure is accidentally removed. World-wide sales volumes have allowed us to price the Quick-Change Tool Changer at or below the competition. With a wide range of electrical, pneumatic, and fluid modules available, ATI Quick-Change Tool Changers can be configured to fit most any application. Be sure to contact sales at 919-772-0115 for detailed information concerning option compatibility with a specific Tool Changer.